Since they first burst onto the scene in 2011, we were blessed with 7 sweet years of incredible music from Gangs of Ballet. The Durban-based band decided to call it quits earlier in June this year. In 2014, they came out on top for the MTV Africa Music Award for Best Alternative. Their debut full length album, yes/no/grey, received five South African Music Award nominations. Withing 12 hours of its release, it shot to number one on the iTunes chart. We were honoured to host Gangs of Ballet on Expresso for the first time on 5 September 2013! We're grateful that they decided not to just 'ninja bomb' and leave us hanging, but will close the last chapter with the release of their third 'Form and Function' EP in a few months' time. They also collaborated with Jack Parow for a single "Black and White" and released their first animated music video. 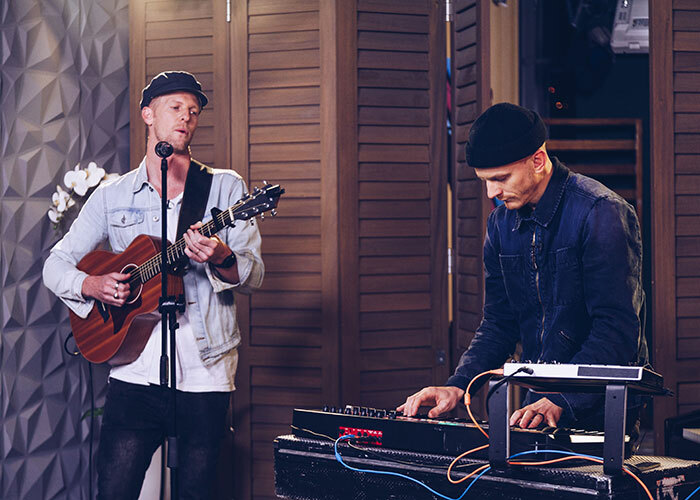 They spoiled us and our Expresso Show viewers with one of their last shows ever, and needless to say it was a very special and emotional performance. Thank you for the music Brad, Josh and Jono, we wish you all the best for the future.